How easy is it to start saving money in 2019? It may be the only resolution you keep! 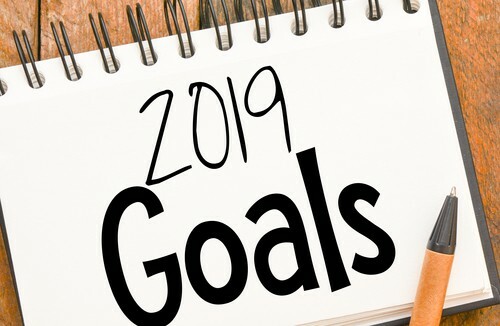 Is saving money in 2019 one of your New Year’s resolutions? The truth is, many 1st of January resolutions are notorious for falling by the wayside by mid-January when the daydreams of success run into the brick wall of reality. Most people get the process backward and trick their brains right out of being successful. Instead of focusing on the reward first and worrying about the consequences of your commitments later, take a few hours to consider the tools you have available. With a bit of preparation, saving will become second-nature. Psychologists swear by micro-resolutions to inspire people to keep moving toward their goals. Why? It’s less overwhelming to commit to something for 30 days than for 10 times as many. You give your brain 10 times as many opportunities to celebrate your success as well. Make a list before every shopping trip — and stick to it! In addition to saving moolah every month, you can stack these monthly mini-goals to create lasting changes in your habits. It’s no surprise regular challenges can better your life for the long-term. Together, they pack a punch. For instance, cutting back on alcohol and sweets has financial and physical benefits. Applications on your phone, tablet and PC help you save and invest funds like never before. There’s a solution for everyone. It’s easier and more affordable to get started in trading stocks and money market accounts. New savings programs compound the power of spare change to beef up your emergency fund without you even noticing. Budgeting software simplifies your finances and helps you see the bigger picture. There are apps capable of teaching you everything you need to know to build up a financial reserve. Better yet, gamification ensures you stay engaged until the methods become healthy habits. With technology making financial freedom so accessible, why aren’t more people doing it? With so many apps available, chances are their choices are overwhelming. Acorns: Squirrel away pennies by investing spare change into savings and the stock market. Once your savings account reaches the $5 threshold, Acorns invests into funds based on your predetermined preferences and risk-comfort level. Qapital: Use a series of challenges to invest more in savings using a spare change model similar to that of Acorns. Set money missions and savings goals to stay motivated. Stash: Stash takes an automated approach to investing, while also utilizing challenges and gamification in a similar way to Qapital. Open an account with as little as $5, and keep an eye out for promotions! If you’re a typical American, you spent a good chunk of 2018 worrying about cash. Bills. Emergency expenses. Bad credit. No credit. Money matters feel out of control when you’re one slip away from catastrophe. That’s why saving is so important. It doesn’t matter how old you are or how well paid. If you don’t pay your savings account first, you will always feel somewhat at-risk. What’s the financial impact of those sleepless nights? For people who are severely cash-strapped, depression and anxiety often compound their troubles by leading to unhealthy behaviors. Over Imbibing on alcohol, overeating and excessive consumption of entertainment act as distractions while they also eat away at the small amount of money low-income earners have available. If you’re caught in one of these vicious cycles, you have more to gain than a few dollars in your bank account by making money management a priority. Your physical and mental health will improve. You’ll eat healthier. Plus, you’ll exercise more. You’ll feel happier just by taking steps to become more financially secure. At Title Tree, we certainly hope we can help you with that. Visit your nearest Title Tree store for more tips on spending less and saving money – or if you need a little help making ends meet while you get your finances under control.